Plantain chips are a perfect snack for those who are on a Paleo-diet or at least trying their best to stay away from less, “healthy” snacks. 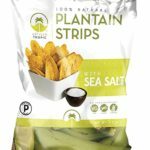 If you need something to crunch on, the Artisan Tropic Plantain strips are perfectly roasted and have a very satisfying texture and crunch. They are neither hard, nor soft; neither salty, nor sweet, yet they give you just the right amount of both snack characteristics. 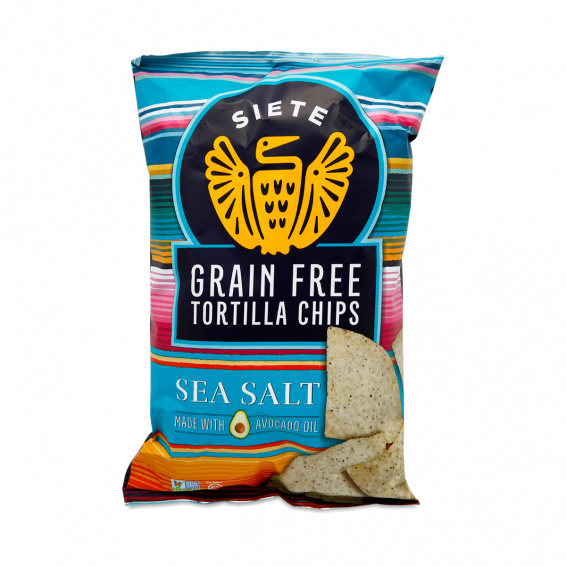 Some might prefer them a bit sweeter; others might want them saltier so fortunately, they provide them in either flavor; naturally sweet or with sea salt. Plantains are a member of the banana family. In fact, they look like a big, green, yellow, or black banana on the outside. 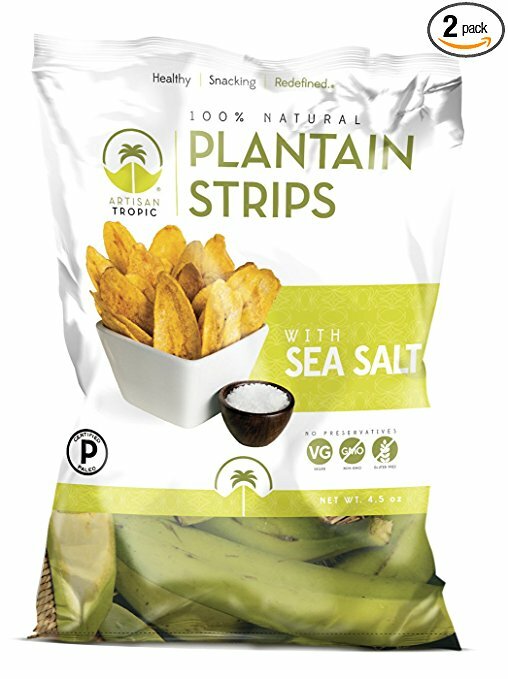 I’ve been told that the green plantains are the best for making chips, so i would assume that the Artisan Tropic brand of Plantain strips are in fact made from the green ones. The green ones are also the sweetest, though still not as sweet as a banana. When I crave a salty snack, I don’t want it to be too sweet, so in a way, making chips from plantains makes a heckuva lot of sense. 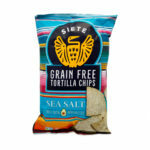 What Makes a Healthy Potato Chip? 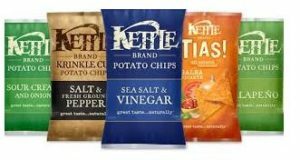 There are as many if not more opinions on what makes snacks healthy or unhealthy as there are number of potato chips brands. Some on a paleo diet might even argue whether potatoes are healthy at all. Let’s assume that potatoes are okay for most of us who are not following a strict paleo or FodMap diet. With that said, no other snack is as crunchy, tasty, and as satisfying as a potato chip. Sweet potato chips are a great, paleo-friendly snack, but they simply don’t satisfy the craving of a chip lover like myself. The sweetness cuts into the enjoyment of the salt. I gotta have that potato, salty crunch with my lunch or I’m left feeling hungry and betrayed. So what is a healthy potato chip? If we’re not on a paleo diet and we’re okay with potatoes, the only thing that can possibly make the chip unhealthy are things like MSG, preservatives, and commercial, seed oils. The one thing I will avoid at all costs is canola oil. Canola does not come from food, it comes from the rapeseed plant which is not a food. The next couple of oils I would avoid are safflower and sunflower oils. 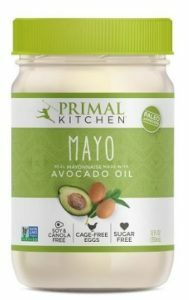 Primal Kitchen Mayo is fantastic! Not only is it 100% natural, but it simply tastes great. I am so disheartened by condiments, chips, snacks, and other foods these days that advertise themselves as being all-natural only to read on the label that the first ingredient contains canola oil or some other, unnatural, industrialized seed oil. When my wife brought home for the first time a jar of Primal Kitchen Mayo from our local Kroger Grocery store I was very skeptical to say the least. But, when I looked at the label, my skeptical at once turned into a very hopeful grin. Everything in this amazing condiment is 100% natural and healthy: Avocado Oil, Organic Cage-Free Eggs, Organic Egg Yolks, Organic Vinegar, Sea Salt, and Rosemary Extract. That’s it! Nothing less, nothing more. I opened the jar, dipped a spoon into it and tasted it. To my delight, it was very tasty, tangy, and satisfying. Primal Kitchen Mayo simply tastes great. This all-natural, paleo mayonnaise has a very satisfying, rich and tangy taste that goes well on absolutely anything you can imagine.